What’s This All Going To Cost Me? Why are there so many horror stories about hidden costs? I solemnly swear that I’ve read dozens and dozens of ‘hidden cost horror stories’ online and can’t help but wonder if these people live under a rock…. Sorry to be so blunt about it but construction is not a simple cash and carry product like a McDonalds Happy meal or Drive Away No More to Pay Mazda……. You have to plan for the unexpected! Basically, anything that requires construction can vary at any given time. These are NOT HIDDEN COSTS. IT MUST BE UNDERSTOOD that this is normal for construction projects and we are very upfront about roadblocks that may hinder your pool project. So where are these ‘hidden costs’ hiding and how can we shine a bigger spotlight on it for you? …..come out, come out, wherever you are………. Geotechnical reports, acid sulphate reports, arborist reports, surveyor plans are all required. Arghhhhhh, this is frustrating for you and the builder. No one wins here but you gotta do what you gotta do with local government, and comply with any regulations. Be prepared for anything. If building within 600mm of a sewer line you need a sewer peg out by Sydney water and they charge over $1000 to do the peg out and construction inspection. Do your homework and get a sewer diagram before you obtain a pool quote…. This is well and truly hidden and beyond anyone’s control. You can carry out soil testing which usually costs as much as removing the first 10 cubic metres of rock. So is it worth it? Unregistered domestic sewer lines need to be diverted if encountered whilst excavating. This is annoying and must be actioned straight away or you’ll be without a toilet that day. What can’t be seen can’t be quoted but all good pool builders will provide an upfront contract rate so you can plan for worst case scenarios. Soil removal is usually quoted at $1100 to $1400 per 30-tonne load of soil. If an asbestos cubby house is hidden under the pool, then the cost will escalate. Other contaminates include concrete waste, bricks, metals and garden waste. If you are using a boundary fence as safety fencing it has to be 1.8m high, not 1.2m high like your normal pool fence. This means you may need to raise it and eliminate any footholds. Most pool builders will provide electrical conduits to pierce the concrete shell only. It is then your responsibility for the light conduit to be extended to wherever you want to switch the lights. A draw wire must be put in place by an electrician. Electrical connections for the filtration equipment are also not included in a contract. Same with a gas line. You will need to arrange a licensed gas fitter to run the line from street to gas heater. Your lights and equipment are manual, including your spa blower. If you want to automate up to 10 devices you can install a control touch pad which can be controlled via Wi-Fi and your mobile phone. Most pools have one pump that can be valved to control the pool or the waterfall or the spa at different times. If you want to run them all at the same time, you need one pump for each feature. An automatic pool cleaner is not standard inclusion, and you will need to clean the pool manually unless you buy one. Waste bins, rubbish management, dewatering the shell. You will need a 2 – 4 cubic metre waste bin for all site waste including concrete washout, plumbing offcuts, timber and formwork, tin sheets, pier tube offcuts, coping wastage/cuts, boxes, interior bags, slurry. Most builders will load it for you. Most customers get the bin at the end, but those who hate the sight of rubbish or have small children and/or pets may like to plan to have the bin there for the duration of the build. 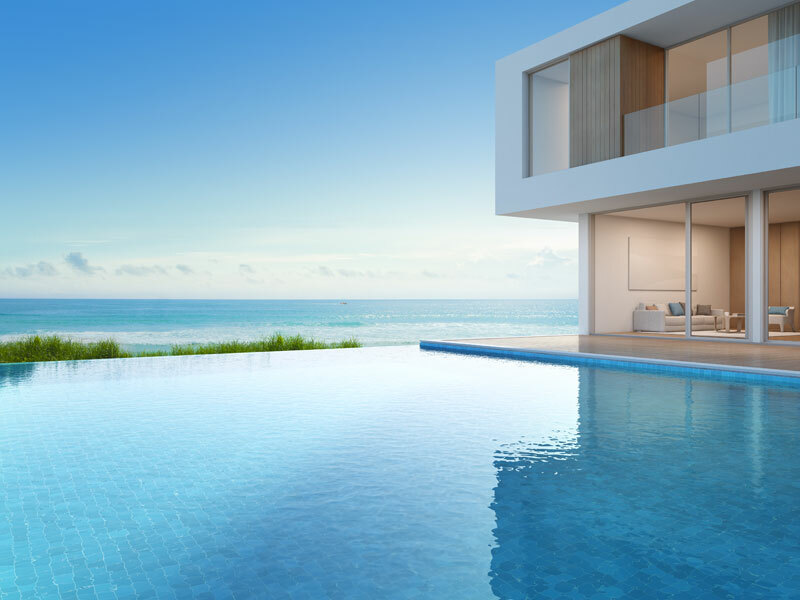 The pool is to be kept free of water for the duration of the build by the owner or pay a small fee to have the builder do it when needed. Everyone has different tastes which affect the cost of materials. It’s best you choose your own and have the builder lay it for you. Most wall finishes are bare concrete so you may need to pay extra for materials and labour. Very rarely are the following items encountered during construction: surveyor pegs to confirm property boundaries, form work, piering and backfilling carried out below existing ground level, necessary works to stabilize site conditions such as excavation collapsing due to unstable soil or consequences of rain and the use of pump/spear pumps for dewatering if you’re on a water table, cutting of existing pavers, additional pipework if you want to locate the filtration far away from the pool, a backwash line if you want a sand filter, silt barriers or other erosion control measures, traffic control if you live on a main road with no parking and I think that’s about all folks! Is it true that I’ll spend just as much on the landscaping as the pool? A pool is a pool! At the end of the day, it’s what you do around it that makes it sensational! There is a certain way to design, shape and colour finish your pool but what brings the backyard to life is the landscaping. It’s easy to spend just as much on the landscaping as the pool which is why it’s more common these days to choose a builder who can integrate the pool and landscaping together, so you save time and MONEY! Instead of an average 200mm coping width around the pool, why not extend the walkway? This means you won’t need two concrete structures… pour the surrounds with the pool build! Instead of building a retaining wall why not incorporate an upturn wall with the pool structure? This doubles up as holding back the dirt and can become a lovely water feature. Or, it can even double up as a poolside planter box. There is quite a bit of money being spent on glass fencing these days. It’s really in. A glass fence can add as much as $8000 if the pool needs to be fenced on all 4 sides. In some cases where boundary fencing is used as a barrier, this needs to meet the 1.8m height requirement which also falls under landscaping costs if you need to raise or replace the fence.